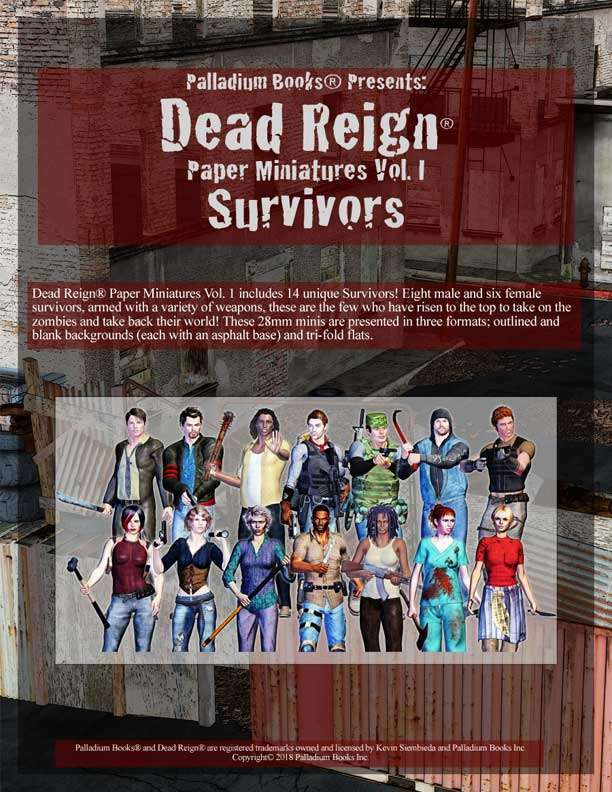 Dead Reign® Paper Miniatures Vol. 1 includes 14 unique survivors! Eight male and six female survivors, armed with a variety of weapons, these are the few who have risen to the top to take on the zombies and take back their world! These 28mm minis are presented in three formats: outlined and blank backgrounds (each with an asphalt base), and tri-fold flats.